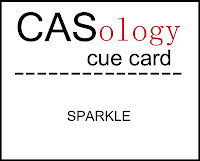 This week's CASology Cue Card is Sparkle! You'd think that Sparkle would be easy for me. Pretty much every card I make has stickles on it - sparkle is one of my favourite things in the world! Maybe that's why it was difficult for me - trying to narrow it down to just one card! In the end, I went with the sparkliest thing I own - the Silver Glimmer paper from Stampin' Up (it's gorgeous!). I simply cut out a Cuttlebug snowflake and added a few circles. To make it pop, I placed it on a black background - going for the elegant look! Now it's your turn to sparkle! Don't forget to link up by noon, CST on Sunday, December 9. And hey, while you're at it, if you love CASology, why not thinking about joining the Design Team - Melissa has posted the details on this post. Here are links to the blogs of the other Design Team members - don't forget to go see what they came up with! Ardyth, this is one sparkling beauty! LOVE the glittery snowflake against the black BG! It really makes it pop! Wow! Definitely sparkly Ardyth, you really do glitter so well. Your snowflake is so festive, just gorgeous. Love this sparkly snowflake, and it looks fantastic on black! Wow! wow! wow! Absolutely stunning Ardyth. gorgeous, gorgeous card, ardyth... this card proves that less is definitely more! Your genius touch this time is the circles. Without them that's my least favorite of all flakes. Thanks for the inspiration to put mine to good use. I never would have thought to add something to it. Definitely elegant and beautiful! I knew there was something different when I looked at this, thanks to Bahb for noticing it was the circles! Great idea - it makes the snowflake so much more dynamic and fills the size of the card perfectly! Aww, it's Frosty's baby picture! 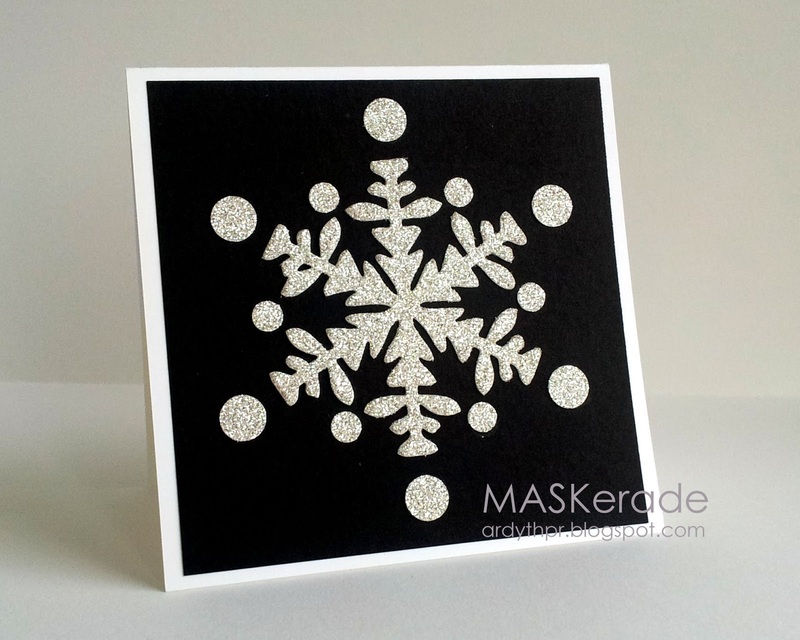 Love your single snowflake on a square card, and it really pops against that black background. Sparkle, indeed! Had to tell you that I somehow missed the birth of that snowflake die but I love it. Something about its graphicness really appeals to me - then you go and add sparkle and "polka dots" to it. = love. Sparkle. To wit: your card. Had to pop over from Darnell's blog to see her inspiration for her lovely snowflake card.. I love your one its very pretty looks like its got the bling on for christmas..
That paper is fabulous and the snowflake is totally swoon worthy!